Despite a report from a United Nations Commission which ruled that the intensely disputed Falkland Islands lie within the Argentine waters, the United Kingdom is not budging on its stance. The UN commission on the limits of the continental shelf sided with Argentina, ratifying the country’s 2009 report fixing the limit of its territory at 200 to 350 miles from its coast. In Guyana, UK High Commissioner Greg Quinn said that despite the UN ruling, it still believes that the people of the Falkland Islands reserve the right to self-governance. “There is no way that our position would change that the Falkland Islands have a right to govern themselves. That’s not going to change – that’s a fundamental thing for us,” said Quinn when questioned on Tuesday. Reports indicate that the ruling, if confirmed, has implications for the exploration and exploitation of natural resources including oil and gas deposits as well as other minerals and biological resources. 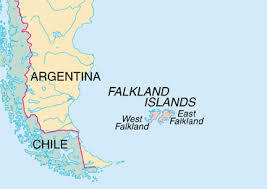 Drilling for oil in the territorial waters around the Falklands began in 2010 despite stern opposition from Buenos Aires. According to the Guardian, under UN law, countries have sovereign rights over their continental shelves up to 200 nautical miles from their shorelines. They can apply to extend the boundary to a radius of 350 nautical miles from their coastlines if they can prove that the area is a natural prolongation of their dry landmass.